PERFECT FOR VIP AND TICKETED ENTERTAINMENT! 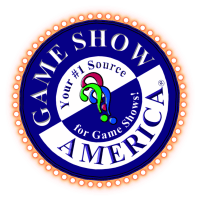 Game Show America offers three fantastic stage game show to draw traffic to your casino. We work with you and your promotions, marketing, and entertainment teams to bring you the best shows possible for ticketed and/or VIP Events. Since 2006, Game Show America has provided casino promotions, insured games, training, and consulting for casinos in 30 of the 50 U.S. States. GSA continues to work closely with our clients to raise the bar and provide custom solutions that increase player loyalty and increase profits. Risks and Rewards is an original live stage game show that is perfect for VIP Contestant Events and headline entertainment. Since 2006, Risks and Rewards has been an absolute smash hit for our clients. The game is designed to have a high turnover of contestants for maximum interaction. Each show can have up to 50 winners - with the option to add a bonus game where the entire audience can win a prize! Payout levels are completely customizable based upon your prize budget. Risks and Rewards is a fast-paced game with a chance to be a contestant at anytime throughout the show. You can customize the payouts for each game and set contestant winnings to fit your prize budget. Game Show America works closely with your marketing and promotions team to ensure a successful promotion every time. If you would like a celebrity draw for the show, you can choose from any of celebrity game show hosts (John O'Hurley, Wink Martindale, Bob Goen, Ross Shafer, Mark Walberg, TV Randy West, Michael Petit, Dr. Gadget, Bob Guiney, and Heath Harmison). Celebrity hosts are subject to availability and their rates will vary. GSA's Game Show Extravaganza is perfect for VIP Contestant Events and headline entertainment. The Game Show Extravaganza is 60-90 minute game show comprised of a number of exciting mini-games that together create one BIG show. The game is designed to have a high turnover of contestants for maximum interaction. Games can include: Strikeout, Royal Flush, Lucky Rollers, SpinMania, Winball, Punch-It!, Banko, Touchdown, Jackpot, Give & Take, and Bird Bash! Each show can have up to 50 winners - with the option to add a bonus game where the entire audience can win a prize! Payout levels are completely customizable based upon your prize budget. Prizes can be cash, promo cash, or physical prizes (TV, car, luggage, etc). If you would like a celebrity draw for the show, you can choose from any of celebrity game show hosts (John O'Hurley, Wink Martindale, Bob Goen, Ross Shafer, Mark Walberg, TV Randy West, Michael Petit, Dr. Gadget, Bob Guiney, and Heath Harmison). Celebrity hosts are subject to availability and their rates will vary. "Win Some Wheels is the absolute best way for your casino to give away a car. There are a number of different ways to format this game show, with options for a number of audience prizes to be given away throughout the show. This exciting stage game show brings 24 people to the stage, where only ONE of them will win the car. For a game show with maximum contestant impact, Win Some Wheels has everything you're looking for!